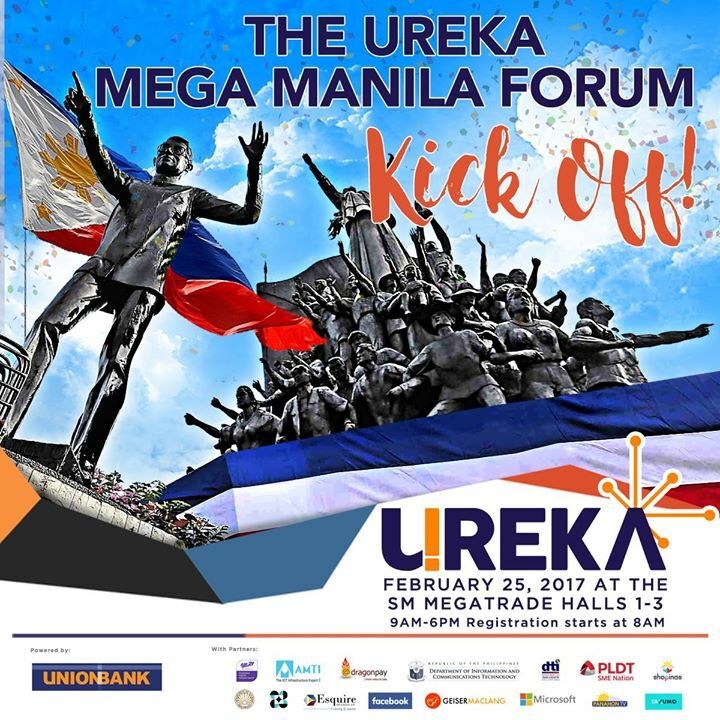 The UREKA Forum—the country’s biggest e-commerce mass conversion program for SMEs, powered by UnionBank of the Philippines (UnionBank) and its Consortium partners, is gearing up for its biggest Forum ever set on February 25, 2017 at the SM Megatrade Halls 1 to 3. To date, the UREKA Movement, through the Forum and DTI Roadshows, has already enabled close to seven hundred (700) Micro, Small and Medium Enterprises (MSMEs) from Baguio, Iloilo and Davao to put up their businesses online. 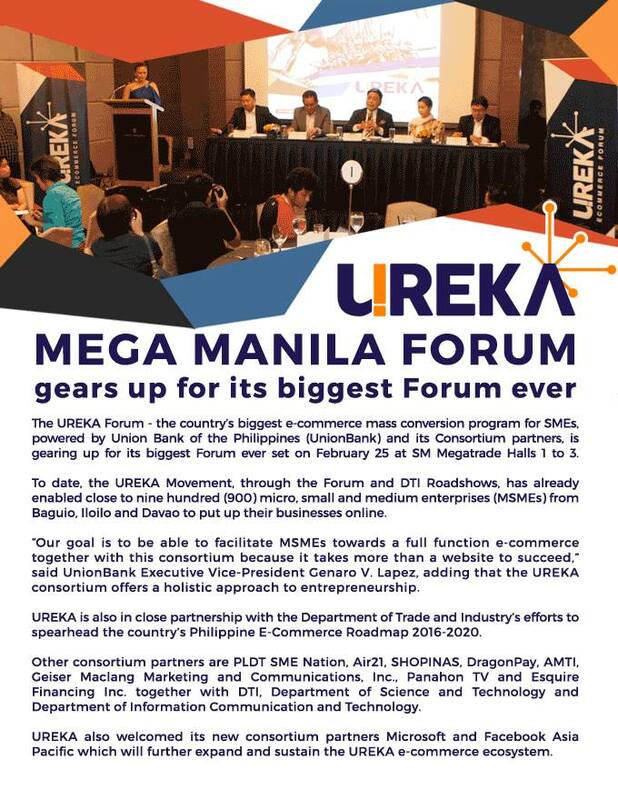 Now on its fourth leg in less than 18 months, a targeted 1,000 attendees, consisting mainly of MSMEs and UREKA E-Cadets, are expected to attend the UREKA Forum in Mega Manila where their ‘brick-and-mortar’ business model will be converted to a ‘brick and click’ model in 1 day! The Forum aims to help entrepreneurs revamp their business models by strategically harnessing technology and e-Commerce. 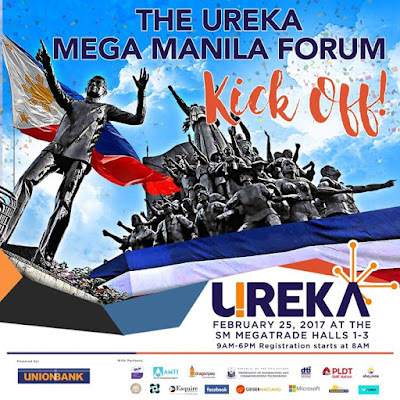 UREKA Forum in Metro Manila is the culmination of the first phase of the UREKA Forum, which started in October 2015, in key provincial trade-hubs of the country. "We look forward to also start connecting UREKA MSMEs with specially-trained UREKA E-Cadets, college students who will assist in getting UREKA MSME’s get their eCOMMERCE businesses up-and-running. Lastly, we are honored to also welcome new partners such as Microsoft and Facebook Asia Pacific who will further expand and sustain the UREKA eCommerce ecosystem,” said UnionBank Executive Vice President Genaro (Genju) V. Lapez. The key enhancement for UREKA Mega Manila are the “pairing” of the UREKA E-Cadets with the UREKA eMSME’s so that – together – they can make their first eCommerce Sale within days of their conversion to a “brick & click” business. This will further accelerate the sustainable transformation of their businesses. With this, the MSMEs can take their business online in just a few hours by providing all pertinent information about their business and products for the website. Entrepreneurs will also have a chance to learn from and interact with industry leaders from the consortium partners. “UREKA Forum is very much in line with UnionBank’s digital transformation mandate as it enables MSMEs to do e-Commerce and, together with our Consortium Partner’s commitment to help achieve sustainable ‘financial inclusion’. Consequently, UREKA is in close partnership with the Department of Trade and Industry’s (DTI) efforts to spearhead the country’s Philippine E-Commerce Roadmap (PECR) 2016-2020,” said EVP Lapez. The forum will be moderated by TeamAsia President Monette Iturralde-Hamlin, and hosted by Christine Jacob-Sandejas and RJ Ledesma. UnionBank and its consortium partners namely PLDT SME Nation, Air21, SHOPINAS, DragonPay, AMTI, GeiserMaclang Marketing and Communications Inc, PanahonTV and Esquire Financing Inc., together with the D.T.I., D.O.S.T. and D.I.C.T., continue to collaborate with various leaders from the business and technology industries to spread knowledge and share unparalleled expertise as well as to promote a sustainable and innovative business model among Filipino entrepreneurs based on e-Commerce.